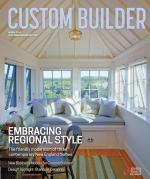 A compilation of articles and links on lighting products for residential builders, remodelers, and architects serving the residential construction industry. Elica’s Stoney Island hood features the Hush Suppression Noise System to reduce noise and Perimeter Aspiration technology for powerful, efficient fume extraction. AGA has introduced Elise, a 48-inch range that is available in five-burner gas cooktop dual-fuel or five-burner induction configurations. Bosch is introducing two new refrigeration units with the Benchmark 30-inch Built-In Custom Panel Single Door Refrigerator and the Benchmark 18-inch Built-In Custom Panel Single Door Freezer.